KCPS Superintendent Mark Bedell, center, listens to a presentation at an October meeting of the Board of Directors. 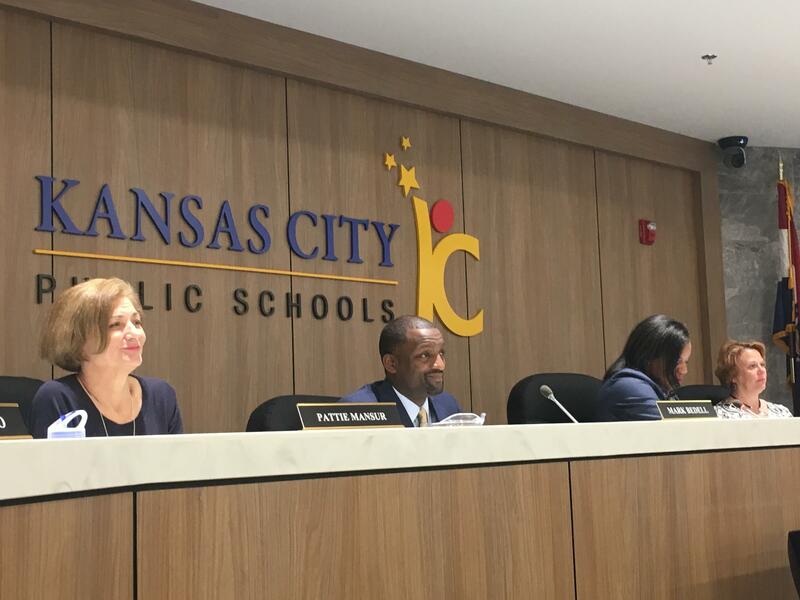 Kansas City Public Schools scored fewer points than it did last year under Missouri’s statewide accountability system but stayed solidly in the provisionally accredited range, according to data released Wednesday by the Department of Elementary and Secondary Education. District officials say there’s a lot to celebrate, including a four-year graduation rate that’s up over 70 percent and gains on state science tests. KCPS has also already met the state’s goal of a 90 percent post-secondary placement rate – kids who enter college, career or the military within six months of graduating – by 2020. 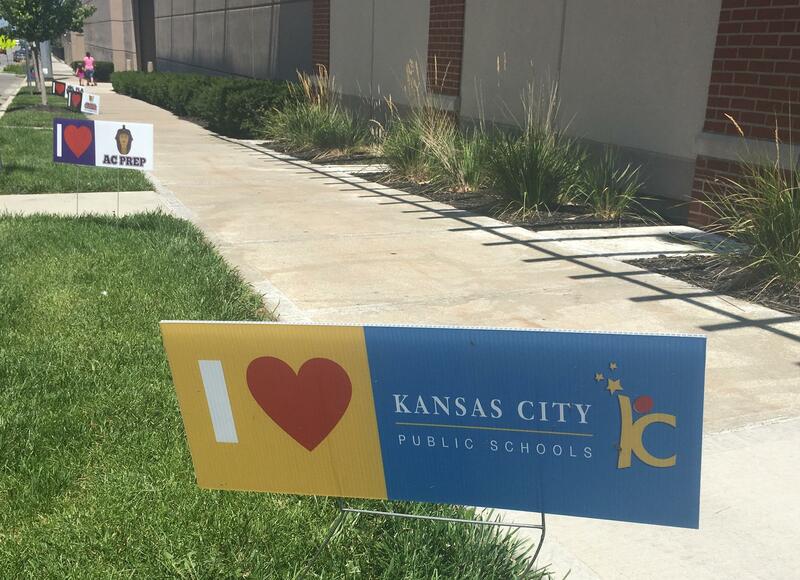 KCPS earned 89.5 points out of a possible 140, a 63.9 percent. That’s well within the range for provisional accreditation but a backslide from last year, when district officials joyously announced that KCPS had achieved a 70 percent rate, the cutoff score for full accreditation. KCPS celebrated, then got back to work, Bedell says. Missouri Commissioner of Education Margie Vandeven has said unequivocally that KCPS needs to show sustained progress for the state board to even consider full accreditation. 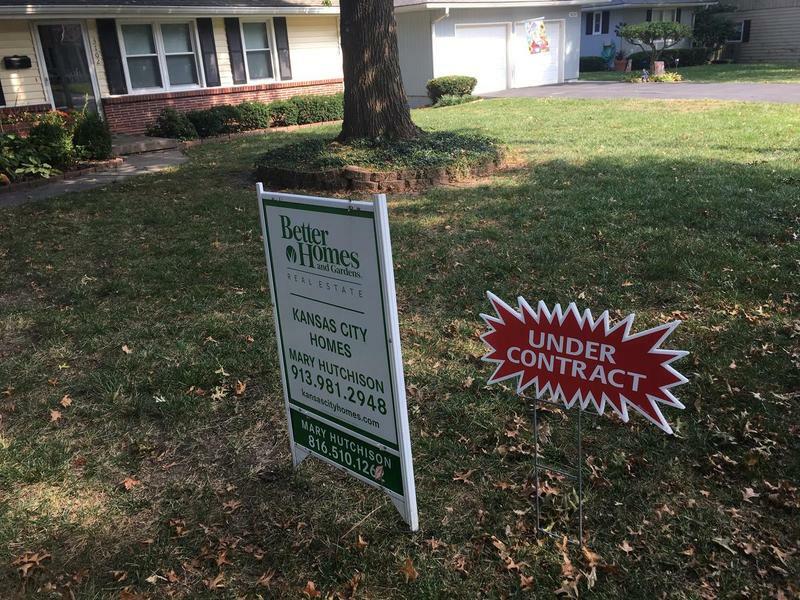 As KCPS attempts to regain full accreditation, the district has been marketing itself more aggressively to families currently attending other schools. This year KCPS came up short in two areas, social studies and attendance. Bedell says the district anticipated the drop in social studies scores, which had gotten a one-time boost in 2016 from a curriculum realignment at Lincoln College Preparatory Academy. That year, two classes – freshmen and sophomores – took end-of-course assessments. The next year, KCPS only tested freshmen at the elite school, and the number of students districtwide scoring proficient or advanced dropped. The district lost points there. The district also lost points for attendance, falling short of Missouri’s 90/90 goal – 90 percent of kids in class 90 percent of the time. Only 79.1 percent of KCPS students met that goal. But the district’s biggest struggle is mobility, the constant churn of students in and out of KCPS from charters and neighboring districts. Students who had been in the district for at least two years scored much better on national NWEA mathematics and English language arts tests than students who had recently entered KCPS. For example, only about a quarter of current KCPS first graders were also enrolled in pre-K and kindergarten in the district. But 40 percent of them tested into the top two quartiles on the fall NWEA mathematics test, compared to just 16 percent of first graders who did not attend KCPS last year. Even fewer new-to-the-district first graders were reading at grade level. Bedell says he didn’t come to Kansas City to make excuses, but churn is a frustrating reality in an urban school system. It hasn’t helped that so many previous superintendents have also been highly mobile. Bedell has said repeatedly he’s in it for the long haul. But for KCPS, full accreditation is probably still two to three years out.